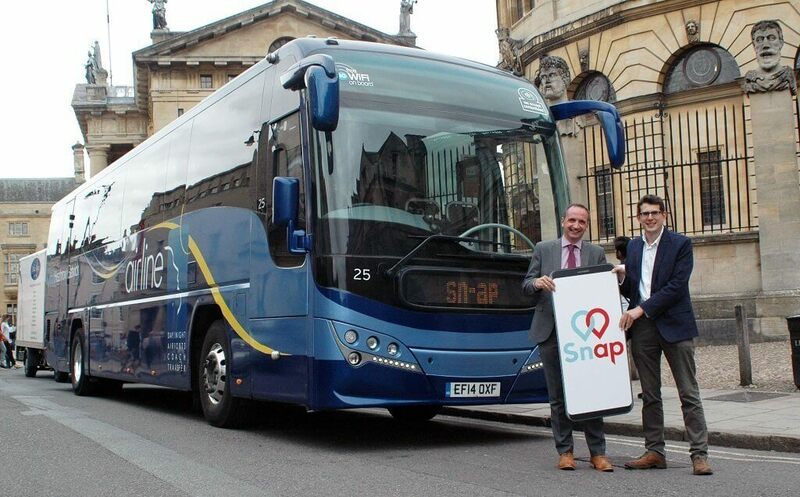 The Oxford Bus Company has announced the creation of new coach routes linking the city to Bristol and Birmingham in partnership with travel technology firm Sn-ap. The new route runs daily, connecting central and suburban Oxford with ‘key areas’ of Bristol and Birmingham; all new Sn-ap customers get their first return journey for free. Direct coach services are now being offered through Sn-ap’s on-demand travel platform, getasnap.com. The company’s tech allows for ticketless travel, live vehicle tracking and demand-driven coach planning. Sn-ap customers will now also be able to purchase spots onboard the Oxford Bus Company’s X90 coach service between Oxford and London online. Drivers will be able to manage customer bookings through the Sn-ap Pro app. Phil Southall, Managing Director of the Oxford Bus Company, said: “This exciting new partnership with Sn-ap has enabled us to widen our services, offer more routes and broaden our reach to new customers. “We are always striving to lead the market in innovation and technology to make coach travel more accessible. Founder and CEO of Sn-ap, Thomas Ableman, added: “Our growing network of on-demand coaches is proving hugely popular with a new generation of coach passengers. “We now can offer scheduled services for the first time, expanding the reach of the Sn-ap platform. “As always, we will only work with the very best operators and Oxford Bus Company share our philosophy of growing the coach market by exceeding customer expectations. “Sn-ap is about giving customers access to the very best in modern coach travel. Corridors like Bristol to Oxford have been chronically underserved for years.